Mrs. Chaney currently serves as an English and literature teacher at Manchester. She is an alumna of Manchester Academy. She attended college at Mississippi State University where she graduated with her Bachelor of Arts in Communication. She then furthered her education at Mississippi College where she graduated with her Master of Arts in English. She is married to Brent Chaney, and they have two children. Her daughter, Sherrill Ann, is a fifth grader at Manchester Academy, and her son, Ben, is in 5K at MA. Mrs. Lea Choate serves as our school counselor. She obtained her bachelor’s degree from the University of Mississippi and her master’s in English and Guidance Counseling from Delta State. Her late husband was Kim Rodney Choate, Sr. She has three children: Kim Rodney Choate, Jr., Kathleen Elizabeth Windham, and William Robert Choate. She has 6 grandchildren. She has taught at MA for 8 years. She previously taught at Leland, Shaw, Sharkey-Issaquena Academy, Lee Elementary, Northside, and Mississippi Delta Community College. She enjoys traveling with friends, being with her children and grandchildren, playing bridge, and reading. Mrs.Debbie Crisler currently teaches Honors Algebra II, Honors Geometry, Advanced Math, and Calculus to grades 9-12. Mrs.Crisler has taught at MA for 37 years. Before she taught at MA, she taught one year in Regus, AR and three years at Yazoo City High School. She has a Bachelor of Science in Math from the University of Arkansas. She is married to Bebe Crisler and has three children:Brenner, John, and Blanton, all MA graduates. She has one precious granddaughter named Lola. Mrs.Crisler enjoys tennis, reading, watching sports, and spoiling Lola. Macie Daniels teaches Sociology, 8th Physical Science, 10th Physical Science, Honors A & P, and Biology. She is a graduate of Manchester Academy. She and her husband have a daughter, Anna Merritt who is two years old. Coach Dew currently teaches 8th and 11th grade American history, advanced world geography, as well as 12th grade government. He is a 2006 alumnus of Manchester Academy. Coach Dew has his BA in History from Delta State University (Go Okra!). Coach Dew is an assistant football and basketball coach and serves as the secondary boys track and field coach. Ms. George is currently the 7th Math, Pre-Algebra, and Algebra I teacher at Manchester Academy. She is a 1982 alumni of Manchester Academy. She is starting her 31st year of teaching!!! The first 28 years she worked in the public school system. This is her fifth year teaching at Manchester Academy, and she looks forward to many more! She received a Bachelor's degree in Education from Ole Miss, a Master's degree in Education from MS College, as well as an endorsement in Math from Holmes Community College. Coach Iles currently serves as a history teacher as well as a coach for the Manchester boys basketball team and girls soccer team. Mrs. Johnson teaches 10th physical science and ACT prep. 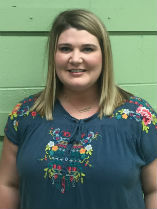 Mrs. McLeod currently teaches English IV, Honors English III, and English I. Mrs. McLeod is a graduate of Manchester Academy and Ole Miss. Mrs. McLeod taught Resourse and English on and off for 15 years at Manchester Academy. Mrs. McLeod is married to Dr. Dan McLeod, and they have had three children together: Dr. Morgan McLeod, Kelleigh McLeod who teaches in the Madison Public School System, and Taylor McLeod who works as a social worker in Nashville, TN. Her hobbies include working on her lawn and Ole Miss Baseball. Mrs. Buffie Merritt currently teaches Art I, Art II, Art Appreciation, and Journalism at Manchester Academy. Mrs. Merritt began her teaching career teaching the four year old kindergarten at Manchester, before becoming the secondary art teacher. She has been teaching art for six years at Manchester. Mrs. Buffie Merritt is married to Michael Merritt, and they have had three children together: Macie, Davis, and Hayden, all MA graduates. She also has a granddaughter, Anna Merritt Daniels. Some of her interests include working in the yard and spending time with her family. Cindy Middleton currently teaches 7th Life Science and Biology I at Manchester. Cindy graduated from Central Holmes Academy in 1980. She went on to Holmes Junior College, and graduated in 1982 with an Associate of Arts degree. Cindy continued her education and earned her Bachelor’s of Science in Secondary Education degree at Mississippi State University in 1984. She also is a 1992 graduate of Mississippi College with a Masters of Combined Sciences. She retired from teaching in the Yazoo County School District after twenty-eight years, and has been teaching at Manchester for the past five years. Cindy is married to Hal Middleton, and they have 3 children: Curt Middleton, Will Middleton, and Katherine Middleton. She also has a granddaughter. Some of her interests include reading, gardening, and being with her family. Mrs. Julie Paul currently teaches Spanish I and II, Mississippi History, and 7th Literature at Manchester Academy. She graduated high school from DeSoto School in West Helena, Arkansas. She then went on to Mississippi State where she received a Bachelor's degree in Marketing with a emphasis in Spanish. She is married to De Paul and they have 4 boys. Tres, a tenth grader, Mills, a eighth grader, Craig and Jake Louis, who are fourth graders this year. Mrs. Perry currently serves as the Chemistry, Computer Programming, and Physics Teacher at MA. She graduated Millsaps with a Bachelor in Science in Chemistry. Mrs. Perry worked at Mississippi Chemical before working at MA. Mrs. Perry has worked at MA for 30 years. She is married to Mr. Rusty Perry and has two children, Mary Russell and Seward. Mary Russell is 18 and a freshman at Ole Miss. Seward is 21 and a senior at Ole Miss. She has a dog, Scruffy, and cat, Lucy. Her hobbies include watching and following Ole Miss sports, shopping, and reading. Sandy Ragland currently teaches Accounting, Honors Algebra I, Geometry, and Senior Math. She has taught at Manchester for 7 years. Sandy graduated from Mississippi College in 1991, where she earned her BSBA with a major in Accounting. She is married to Bob Ragland, and they have 4 children together. One of her favorite things to do around the winter time is deer hunting. Coach Wever currently teaches world history. He also serves as the Assistant Football and Head Baseball Coach. When he isn't teaching, Coach Wever assists in the Tech Department as an IT Technician. He is a 2007 graduate of Manchester Academy. He attended the University of Arkansas Monticello where he received his B.S. in Computer Information Systems. He has experience working in the technology department at the Monticello Public School District. He is the proud uncle of 3 nephews and 2 nieces. He and his wife, Jessica, have a precious dog named Millie that they love to spoil.